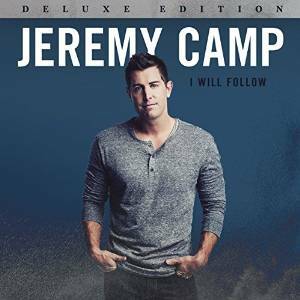 Any Jeremy Camp fans out there? I'm so excited to share the album I Will Follow - with you today. Every since I heard the song He Knows, I've been a big fan. Guess what this whole album is fantastic! Christ In Me is quickly becoming one of my favorite songs.. Camp's deep soulful voice is perfect for worship songs. You will be singing along in no time to this great CD. Purchase your copy at your local retailer or online at stores like Amazon! My favorite song is The Way. My favorite Jeremy Camp song is "Mighty to Save." That is tough. I like so many of his songs! I think "This Man" is my favorite, though. I would go with I will follow although they are all amazing..